Here at EventGeek, we like to hang out with event managers, especially in-person at live events. (Shocking - we know.) So when an event pulled together the leaders, movers and shakers of the trade show industry, naturally, we had to be there! More than 5,000 trade show marketers and experts came to ExhibitorLive 2019 a few weeks ago in Las Vegas (where else?) to learn and connect with each other about best practices and new technologies in the exhibitions industry. The theme of the show was “Connect with Your Species” and we certainly did. It was great to see our customers in-person and meet so many event managers who share our excitement for making events much, much easier to plan and prove ROI. We knew we had to make our trade show booth at ExhibitorLive a great investment. We needed to be crafty with our limited budget to get as many qualified leads as possible and come out with a proof-positive ROI. 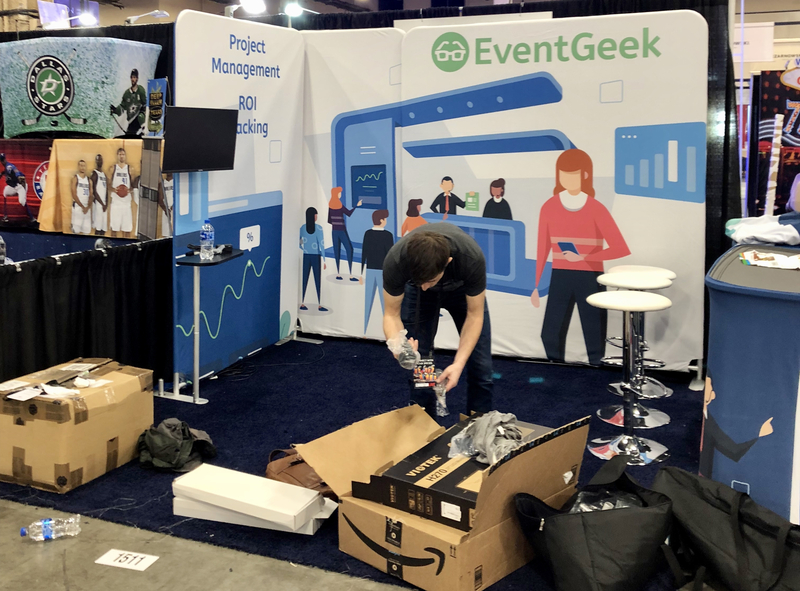 Not only that, but we wanted to share our ROI data, including all of our expenses, not just with our team, but also with the community, so that everyone could see how to use EventGeek to track costs, capture leads and simplify trade show execution. Well, we did it! By the time the show ended, we counted over 250 new qualified leads at a solid cost per lead, relative to our CPL benchmarks and accounting for all of our expenses. How did we do it? In this post, we share an in-depth breakdown of all our costs, tactics and ROI data. For our first task, we needed to secure a booth at the show, which meant selecting a spot on the floor plan. Trade show exhibit booths are priced according to footprint, and the typical dimensions range from 10x10 to 50x50 square feet. The trade show floor at ExhibitorLive hosts over 200 exhibitors, including many of the biggest and best booth designers & builders in the country. While we would’ve loved to have a huge, elaborate booth, we had to stay within budget and think strategically. We opted for a 10x10 corner booth that was not far from the entrance and near the main area for attendees to gather. The spot we selected was at the intersection of two wider aisles and looked like it would have good attendee sight-lines and foot traffic. Key learning: Location, location, location. Carefully select your spot on the trade show floor, taking into consideration attendee walkways, sight-lines and the exhibitors around you. Now that we had our spot on the floor plan secured, we needed an actual booth to put on top of it! As this was our first time exhibiting at ExhibitorLive, we wanted to introduce ourselves by the sharing our customers’ story. To develop the concept, we hired Plato, an awesome design agency that specializes in working with startups. 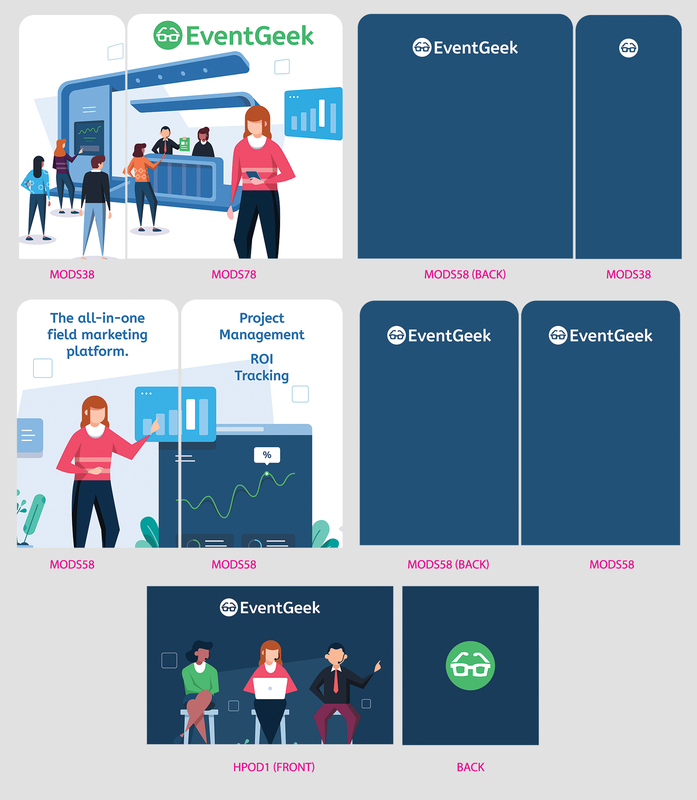 The team at Plato helped come up with an illustration of Penny, an event manager who experiences the challenges of event planning, keeps a close eye on her budgets and proves her event ROI. We liked the idea so much that we even included Penny’s story in the illustrations for our new website. Plato helped us design our new booth, website and one-pager in record time and for a great price. We highly recommend them. Plato also did a great job adhering to the booth specifications provided by our booth manufacturer (see Booth Construction). Key learning: Get a fresh perspective on your brand and find designers whose portfolio spans print and digital. While working on our booth design, the designers needed to know the exact specifications of our displays and signage. An extra few inches here or there meant the design might be misaligned, and a word or tagline could be cut off from the signage. We’d previously heard from our customers about BoothPop, a company that makes modular, versatile and reusable booth stands from stretchy fabric. The team at BoothPop was super easy to work with and provided all the specs and guidance that our designers needed. BoothPop offered to ship our booth kit directly to our hotel in Vegas so that we could pick it up and take take it in an Uber to the convention center. The booth kit even came with cases with wheels that we can roll to UPS or the airport check-in counter and ship back home. Best of all, we now have a set of four modular booth stands that we can use for other events! Key learning: Graphic design is just one aspect of an effective booth strategy. Be sure to consider the costs and complexity of manufacture, assembly and transportation. Now that we had a fully designed booth shipping directly to Vegas, we needed a plan for our booth staff. Since this was our first time exhibiting at ExhibitorLive, our CEO and CTO co-founders, as well as our marketing manager, would be going to Vegas to experience the event first-hand. We wanted to know the challenge and excitement that event managers feel when setting up at a big trade show and meeting lots of customers and prospects. To find the right booth staffer, we turned to PopBookings, an online marketplace for event staff. We posted our gig and, two days later, had ten qualified applicants. After sending initial chats to confirm availability, one of the staffers got back to us right away and she seemed to have a great personality from her profile and chats. We interviewed her the next day and, as soon as she turned on her webcam, we could tell it was a match because her big glasses took up half the screen! Our staffer turned out to be a great fit. Hazel was super personable and energetic the whole show and even offered to help us set up and transport our booth and swag. 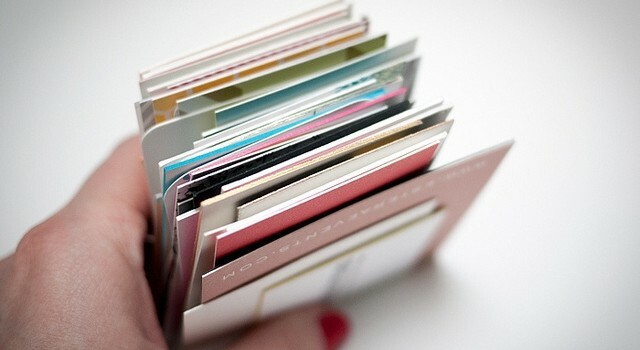 The whole process was managed smoothly by PopBookings, who also handled the payments for a very reasonable fee. Key learning: Find outgoing professionals to be on your booth staff. Also, add extra staff to the schedule so you’ll have flexibility for breaks and in-depth conversation with attendees. With our extra booth staff and ExhibitorLive only a few weeks away, we were 90% ready, but we still needed a hook. We’d received postcards at our office from other exhibitors the week before, which offered craft cocktails, smart luggage and other eye-catching enticements to come by their booths. It was going to be a competitive arena for attendees’ limited time and attention as they walked the show floor and attended the educational sessions. As a bonafide startup, we already had stacks of premium quality t-shirts and stickers to give away. But for the event managers at ExhibitorLive, we wanted to do something fun and different. 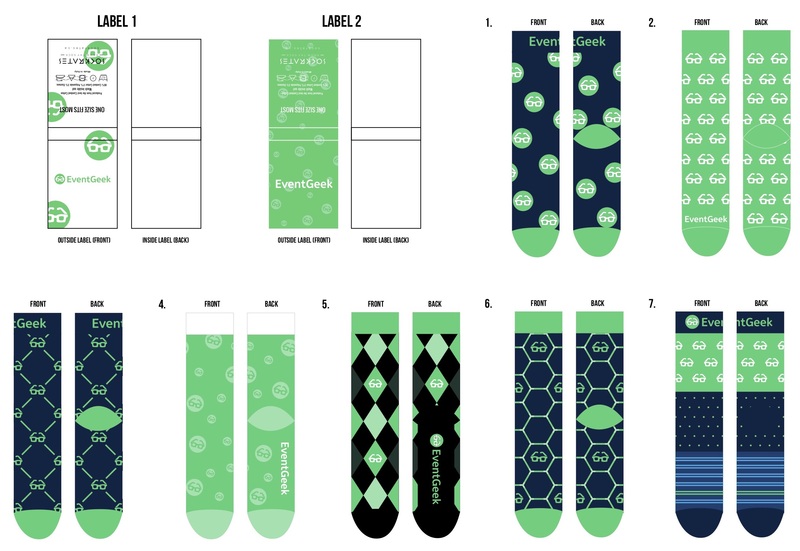 That’s when our CTO came up with a novel idea: socks. With a quick bit of googling, we found several vendors who could design and manufacture custom socks... but only one vendor could meet our tight deadline. Sockrates was super easy to work with and went the extra mile to design our socks with a sockboard and even arrange for alternate manufacturing in Italy, as the Chinese suppliers were closed for Chinese New Years. As a result, we ended up getting a great deal on 325 pairs of super premium Italian-made EventGeek socks, as comfortable and luxurious as they sound. 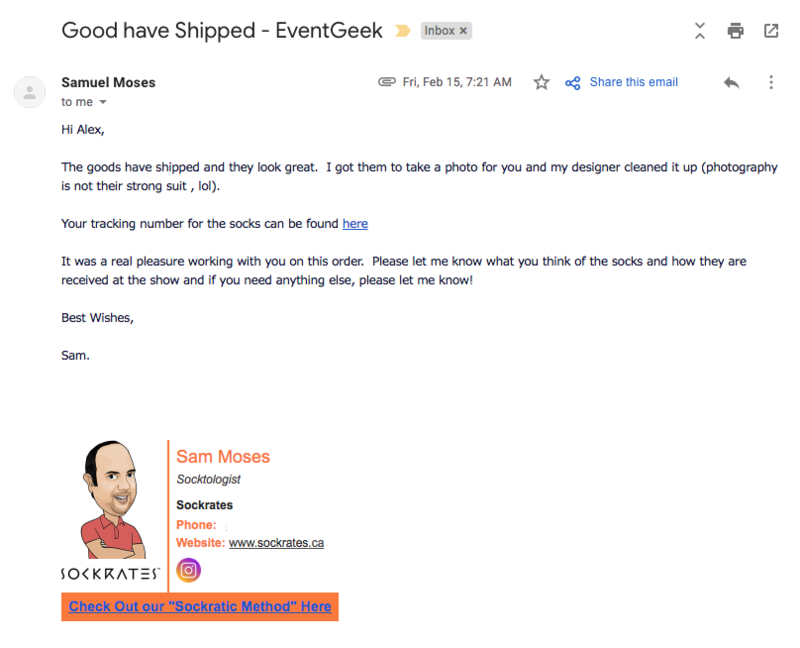 Thanks to Sockrates, our socks sailed through customs and arrived at our hotel - just a day before ExhibitorLive began. Key learning: Create swag that stands out and allow for extra time with custom manufacturing and international shipping. 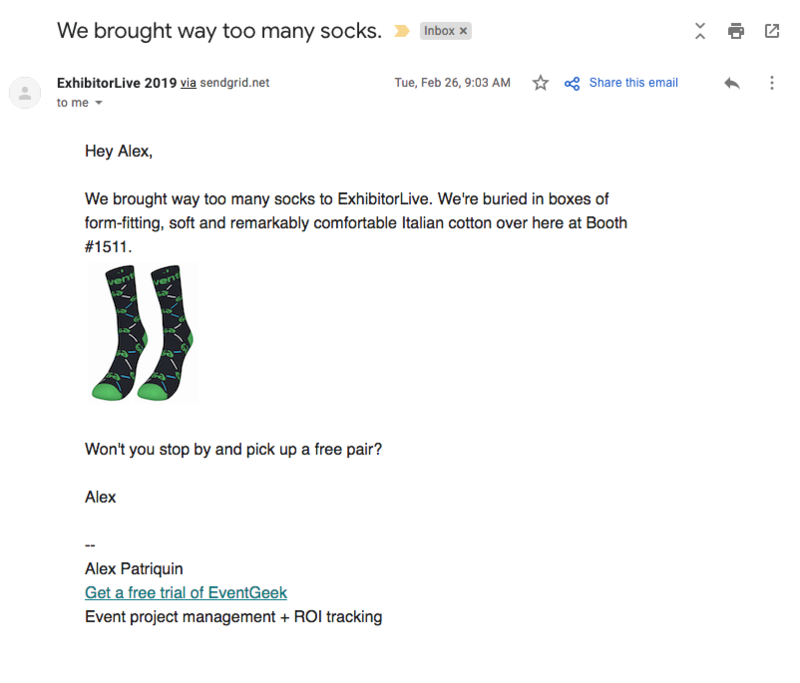 While it was too close to ExhibitorLive to send postcards about our socks giveaway, we still had time for an email campaign. 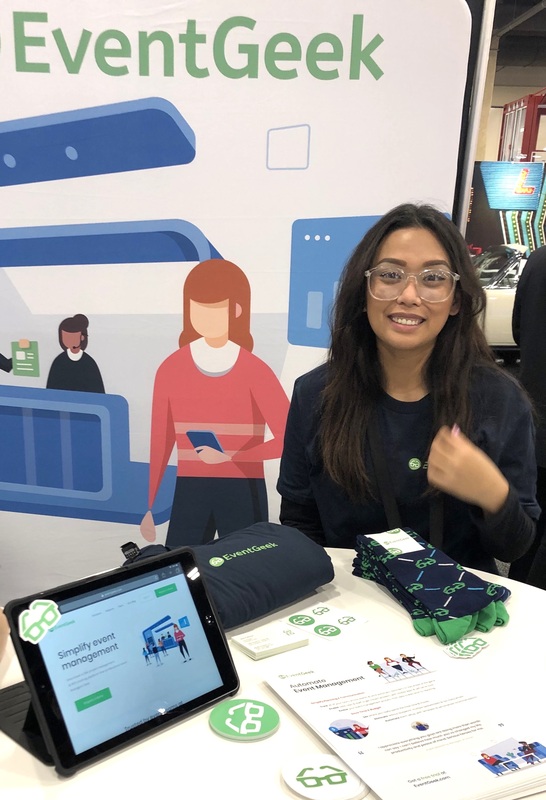 We contacted the ExhibitorLive sales team to set up a two-step email campaign, targeting event managers at the show with a special offer to come by the booth for a demo and grab a free pair of socks. Like everyone else, we receive way too much email in our daily inbox, so we tried to make the email campaign as simple and personable as possible, using only a plain text email template and a single link to book a meeting on our calendar. It worked! Key learning: Keep your email campaigns and messaging simple. Use plain text email templates and a single, clear call-to-action to maximize conversion. 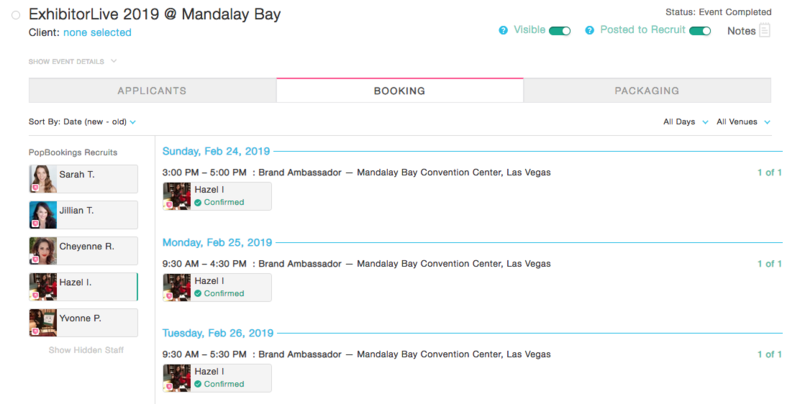 Using EventGeek's Lead Capture and Meetings management for trade show exhibitors, whenever an attendee booked a meeting on our calendar, it immediately went into our booth staff schedule and synced to our CRM. We also scanned badges and business cards, ensuring that we captured leads however they came to us. EventGeek's CRM sync immediately sent the leads into right Campaign in our CRM. Key learning: Use a versatile toolkit to capture leads from different sources, like badges, business cards and calendars. 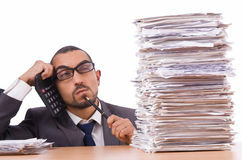 Set up a Campaign in your CRM for every event to do ROI reporting. Finally, the big day was here! We flew from San Francisco to Las Vegas, checked into our hotel, picked up our booth and swag and headed to the Mandalay Bay Convention Center. There we met Hazel, our PopBookings booth staffer, who helped set up our BoothPop booth and stacks of socks, t-shirts, one-pagers and stickers. It all looked great and featured Penny, our event manager persona in a pink sweater, illustrated by Plato. Yay! Our neighbor on the trade show floor at ExhibitorLive was a transportation company that had planned to bring a huge, shiny 18-wheeler instead of a booth. In retrospect, we realized this may have overshadowed Penny and our booth. However, for whatever reason, they did not bring the truck, so we had a huge, wide open space in front of our booth. 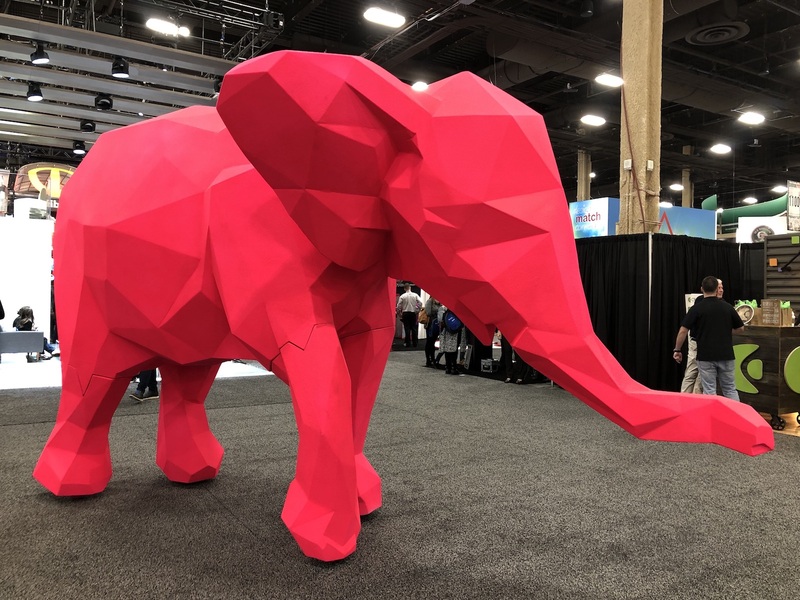 Into this big, open space, the ExhibitorLive team wheeled a life-sized foam elephant that was the same shade of pink as Penny’s sweater. Penny (who’s a bit of a penny pincher) had found her familiar in a pink elephant who never forgets. Talk about connecting with your species! Key learning: Expect the unexpected with live events! 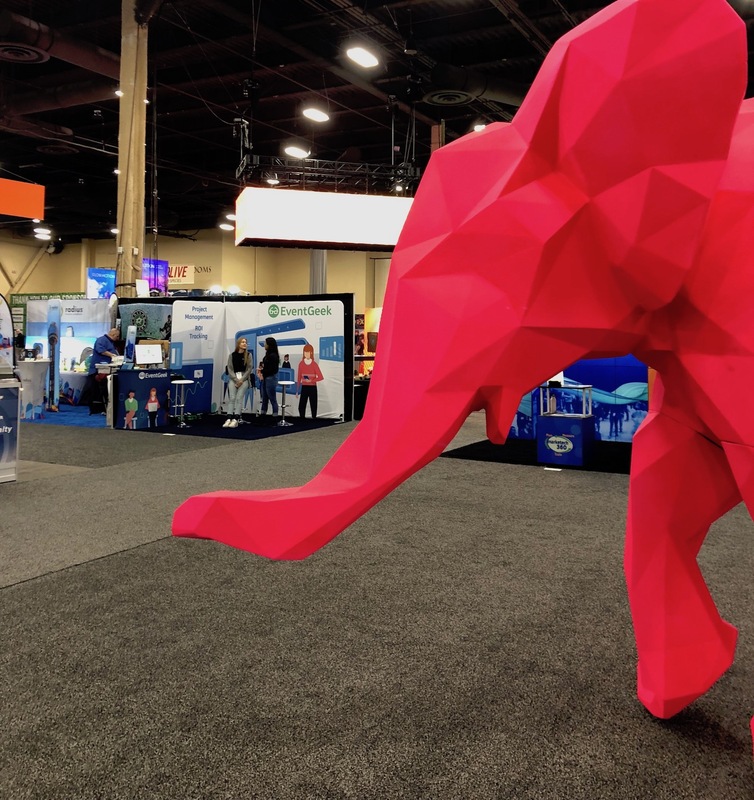 The giant pink elephant in front of our booth opened a whole new dimension to our booth design and strategy that none of us could’ve expected, but that attendees seemed to really love! We had a steady stream of visitors, and by the morning of the last day of ExhibitorLive, we’d handed out over 200 pairs of socks with nearly as many demos. All told, we captured 256 qualified leads from badge scans, business cards and demo bookings. On the costs side, we spent a total of $21,053.51, including wifi, electrical, furnishings, travel and a trip to the Beatles LOVE show on our last night to celebrate. It's also worth noting that 37% of our spend went into a reusable booth and design, which we can amortize as we do more events... and we will! 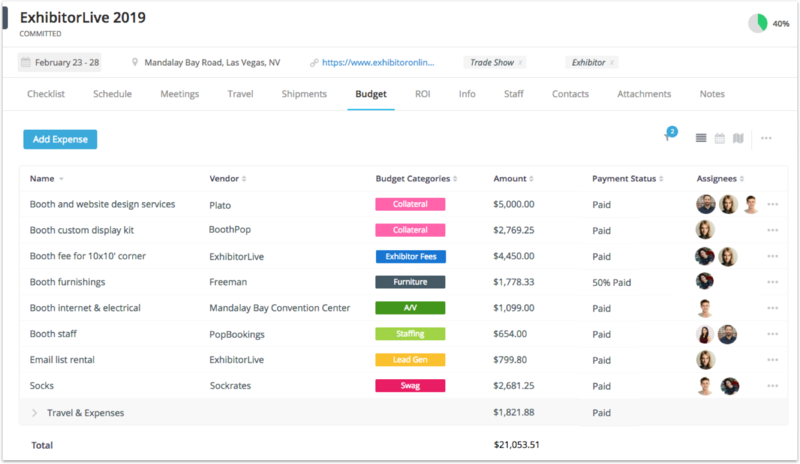 Of course, we used EventGeek to track all event costs, including travel & expenses, and put our entire schedule and pre-planning into calendars and our mobile app to use onsite at the show. Key learning: ExhibitorLive is a great way to connect with trade show exhibitors and event managers! What do you think? Did we get a good ROI? 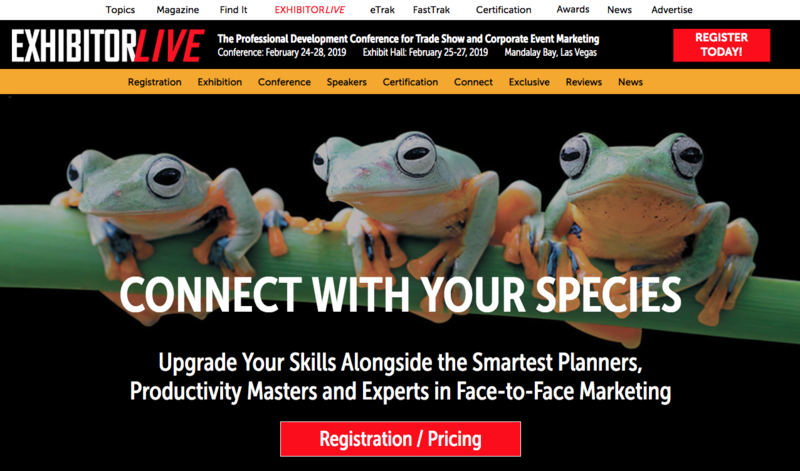 Give us a shout at @eventgeek on Twitter and let us know how we compared to your trade show ROI benchmarks. We'd love to hear from you!